A former Iranian diplomat says considering the role Oman plays in relations between Iran and the West, it can be assumed that Israeli prime minister’s recent visit to the Sultanate was made to send an important message through Oman to Iran. Qassem Mohebali said it is just a speculation, but given the role Oman plays in Iran-West relations, it can be assumed that Netanyahu probably travelled to Oman to discuss Iran rather than other issues. It was quite surprising to see the Israeli prime minister visiting Muscat and being welcomed by the king of Oman, he noted. “They were not part of the Saudi coalition against Yemen and did not take a stance against Yemenis. The Omanis also did not follow Saudi policies regarding Iran and Qatar and maintained their ties with Tehran and Doha,” underlined Mohebali. On the other hand, Oman has always played a mediating role between Tehran and the West, especially Iran and the United States, as well as Iran and Britain, he went on to say. “The Omanis have moderate policies on the Palestinian issue to reduce conflict and advance negotiations between Israel and the Palestinians,” he said. Mohebali, who once served as the Iranian foreign ministry’s director general for the Middle East, said one can link the visit to Tel Aviv’s normalization of ties with Arab countries, but Oman will not play a special role in the case, and issues of the Arab world. He pointed out that if Netanyahu was to talk about the issue of Palestine and other issues in the Arab world, he would choose other Arab destinations. 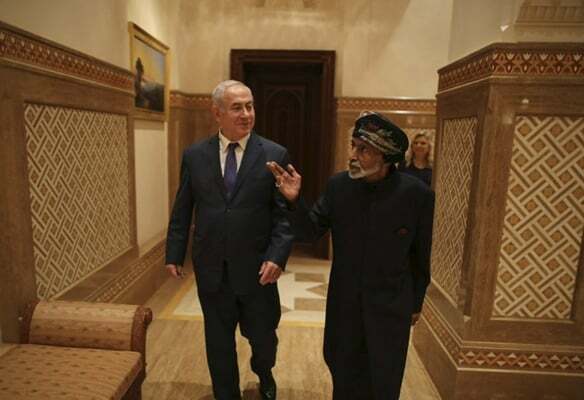 Netanyahu visited the Persian Gulf state of Oman on October 26 and met with Omani Leader Sultan Qaboos. Omani state media and Netanyahu’s office shared the news of the visit after he returned home. The rare visit was not publicised beforehand and came days after Palestinian President Mahmoud Abbas met Qaboos on a three-day visit to the country. Earlier this year, Omani Foreign Minister Yusuf bin Alawi made a rare visit to Jerusalem’s Al-Aqsa Mosque.